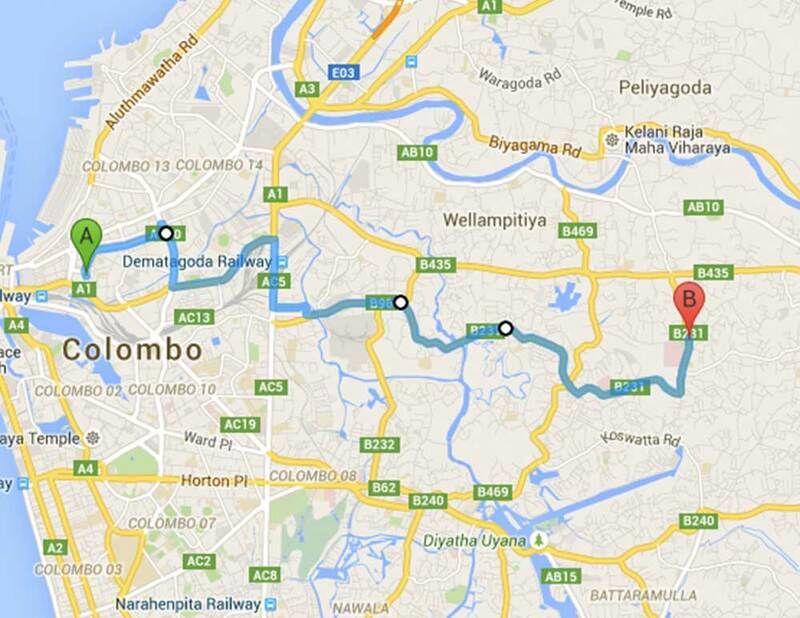 Some parts of the route shown in the map is not correct. It doesn’t turn towards water tank at Gothatuwa new Town but proceeds towards Rajagiriya past Elhena and then turn to Koswatta Road. and proceeds right upto Koswatta. Thereafter during morning working hours it goes up to Sri Lanka Bureau of Foreign Employment, Some services turn to Battaramulla at Koswatta and terminates at battaramulla Bus Terminus.